I’ve seen “chalk” inks in stores before, but passed them up because I thought they would be messy. I thought they would smear, like real chalk does. When I saw Color Box’s Cat’s Eye Queue fluid chalk inks on sale at Meijer, I decided to try them out. I already own a set of Cat’s Eye classic pigment inks, and I love the quality. They’re also compact, which is great because I don’t have a lot of storage space. 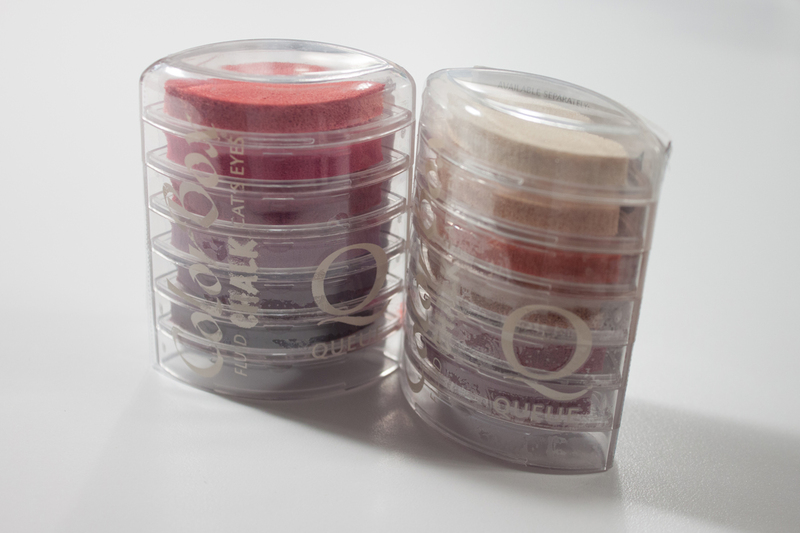 On paper, the Color Box chalk inks have a soft appearance and dry quickly. 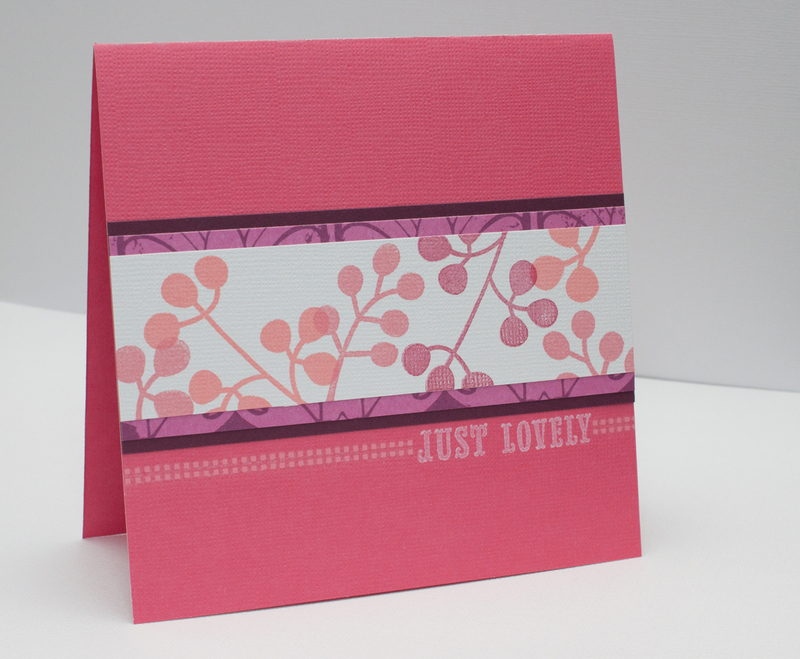 For the card below, I used three from the Rose Petals collection (seen above at left): rose coral, rouge and maroon. (The set on the right is called Sand Dunes.) I’m getting a head start on Mother’s Day this year, and I wanted to make a simple card with a few layers. On a 1 1/2-by-5-inch piece of white textured cardstock, stamp leaf/branch images (I used three “branches” from Basic Grey’s Fauna collection) in the rose coral, rouge and maroon chalk inks. Cut a 1 3/4-by-5-inch piece of plum patterned cardstock (I used one from the Watercolors collection by Me & My Big Ideas) and a 2-by-5-inch piece of plum cardstock. 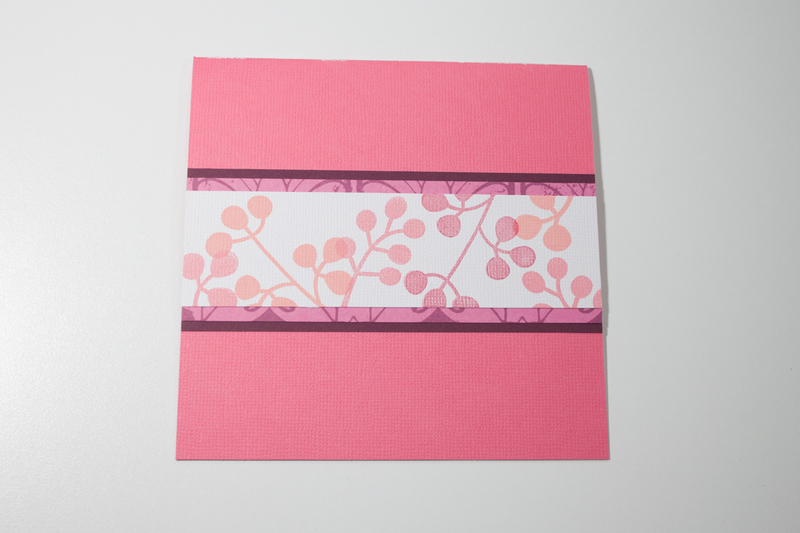 Adhere the patterned cardstock on top of the plum cardstock, and adhere the stamped white cardstock on top of the patterned cardstock. 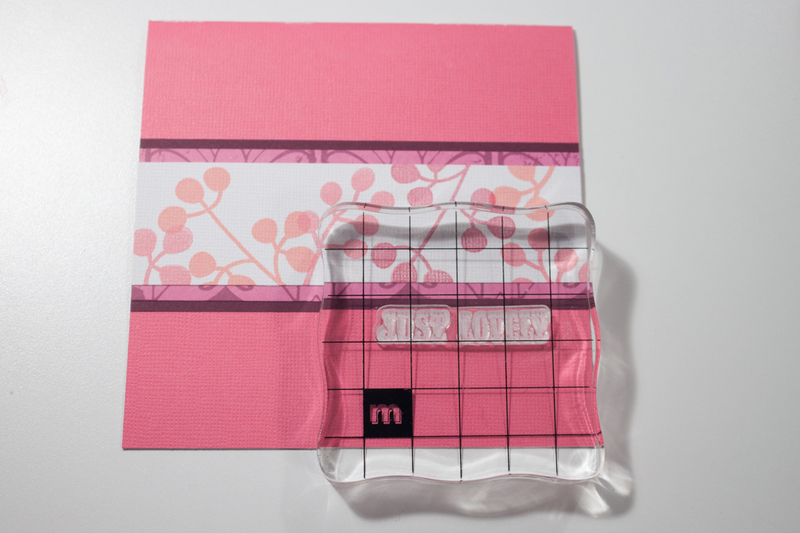 Make a card from a 5-by-10-inch piece of rouge textured cardstock (mine is from the Street Lace collection by Die Cuts With a View). 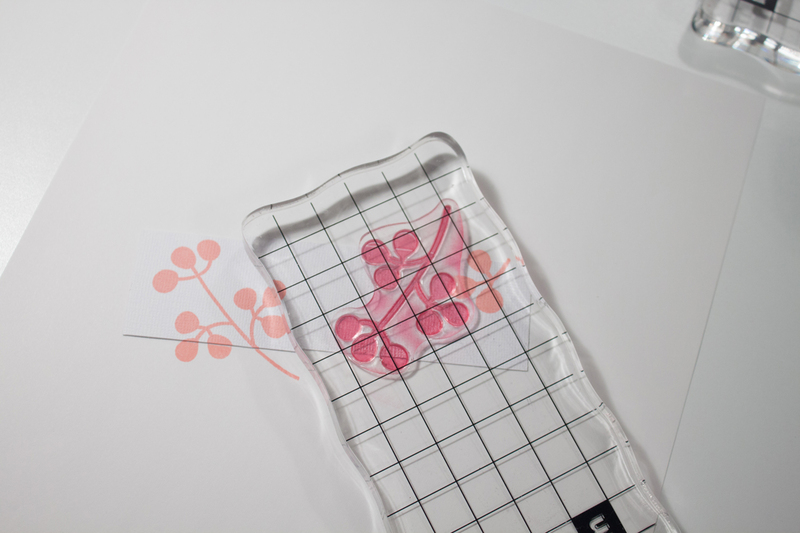 Adhere the layered piece horizontally in the center of the card’s front. Stamp a sentiment (I used “just lovely” from the Lost and Found Union Square “Perfect” collection by My Mind’s Eye) in white ink (such as Color Box Cat’s Eye Queue classic pigment ink in frost white) just below the layered piece, near the right edge of the card. Apply a pink border rub-on (I used one from Mini-marks Accents Book Four by American Crafts) on the left and right sides of the sentiment. This entry was posted in Mother's Day, Spring and tagged chalk ink. Bookmark the permalink. The chalk stamp pads are really some of my favorites! LOVING those pinks.